Even very thin people need to exercise. Thin people have the good fortune of never worrying about burning calories, but this doesn't mean they can avoid physical fitness altogether. Regular exercise does much more than keep you thin. It also improves your cardiovascular health, keeps your muscles strong and healthy and can even help to improve your mood. An ideal workout for skinny people focuses on physical health and strength-building rather than shedding calories. If you're very underweight, consult your doctor about a healthy weight-gain plan before beginning a new fitness routine. Exercises such as cycling, running, walking, jumping rope and jumping on a trampoline increase your heart rate. Unlike targeted strength training, cardio works large groups of muscles. 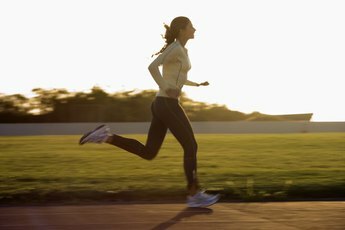 It's also known for its calorie-burning benefits, so skinny people should be mindful that regular cardio might mean they need to eat more. 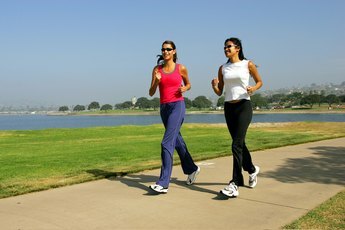 The Centers for Disease Control and Prevention (CDC) emphasizes that most adults need 75 minutes of high-intensity cardio -- such as running -- or 150 minutes of moderate-intensity cardio, such as walking, per week. Try incorporating several different cardiovascular exercises into your weekly routine to keep your muscles working hard and to prevent boredom. Strength training keeps your muscles strong and can help you build mass. Muscle actually weighs more than fat, so if you're interested in gaining weight, strength training is a great way to do so, and it will make you look less gaunt. Try exercise machines such as a leg press or rowing machine at the gym, or lift weights daily. 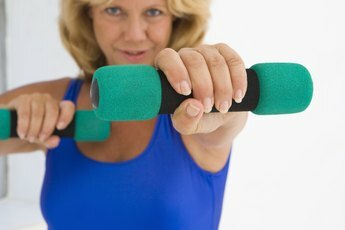 The CDC advises that most adults should do strength training at least two days per week. 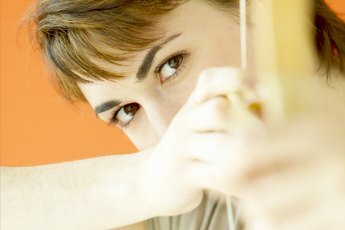 Focus on targeting all of your muscles rather than picking one problem area. You might try working on your upper body one day of the week and your lower body on the other day. High-intensity interval training incorporates elements of strength and cardiovascular training. During interval training, you alternate between high and low speeds. For example, you might sprint for one minute then walk for one minute and continue repeating this process for your entire exercise. This exercise program is helpful for building muscle and endurance, and an ideal choice for thin athletes. A related exercise program, circuit training, involves doing "circuits" of several different kinds of strength training in conjunction with cardio exercise. You might, for example, do a minute each of pushups, bench presses and pullups, run for five minutes, do a minute on the leg press and a minute on a rowing machine, then jump rope for five minutes. Circuit training is very high-intensity exercise and can be a good choice for people looking to add another layer of difficulty to their fitness routines. If you're just beginning an exercise routine, you'll need to eat more to gain weight. Try to eat small portions throughout the day rather than focusing on three big meals. Protein is an especially good choice for a new workout routine because it is relatively high in calories and helps you build muscle. Carbohydrates will help you maintain your energy. Focus on eating a variety of lean meats, fruits, vegetables and whole grains. Can You Increase Cardiovascular Fitness in 2 Weeks? What Are the Benefits of 3 Meals a Day?